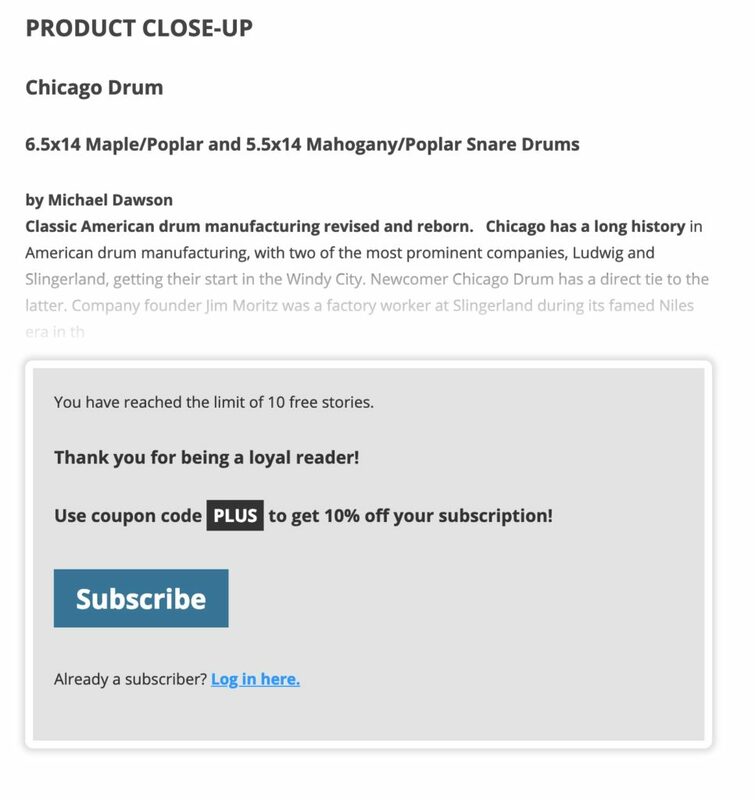 There’s a quick, easy way to encourage people to subscribe: add a coupon. 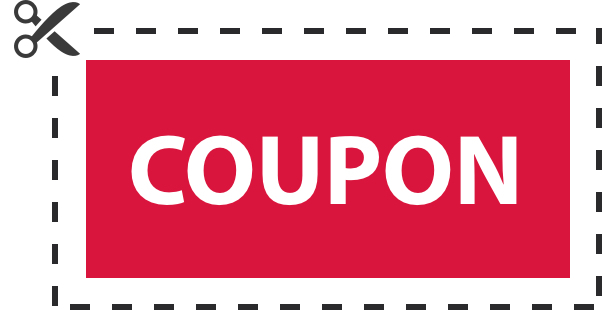 Coupons are compelling to readers – everyone loves a good deal. They reduce the friction of sales funnel, giving your readers an excuse to finally subscribe. And they’re incredibly easy to create. Digiday, which publishes content on digital marketing and advertising, has perfected the art of the coupon. 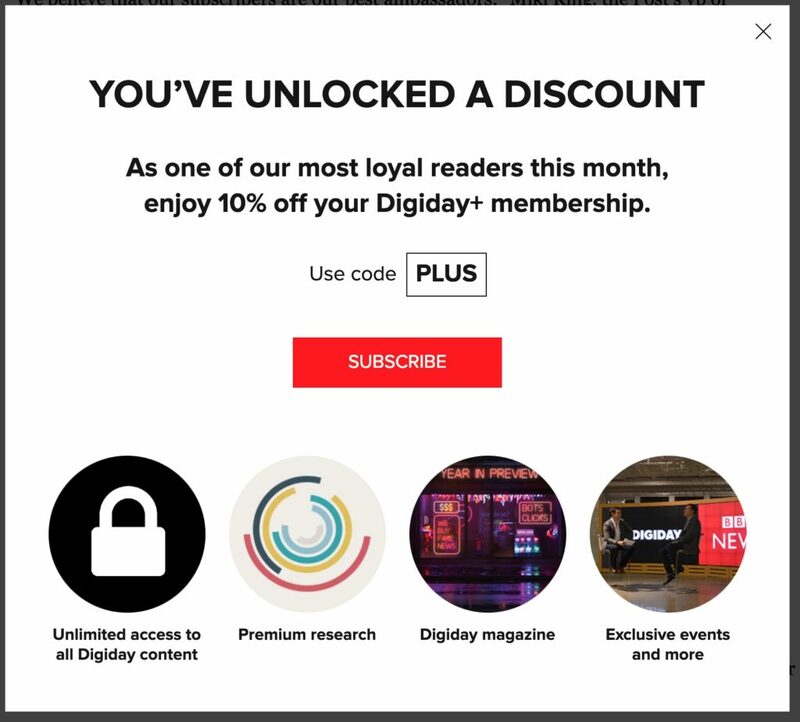 This is the coupon that Digiday displays when one of their non-subscribed readers has run out the meter. There are a couple of noteworthy features. The first is the timing – if your readers have used all of their allotted free articles, they like your content a lot. They’re already ripe to subscribe. It may only take a nudge to convert them into paid subscribers. Offering a discount for their loyalty is an excellent nudge. Especially with an easy coupon code and a direct link to the subscription page. Adding a visual of a subscription’s four key benefits is a little bonus nudge at the bottom. And the best part? This is an incredibly easy move for you to make. You already have a subscription nag at the end of your meter. All you have to do is tweak the text and add a coupon. 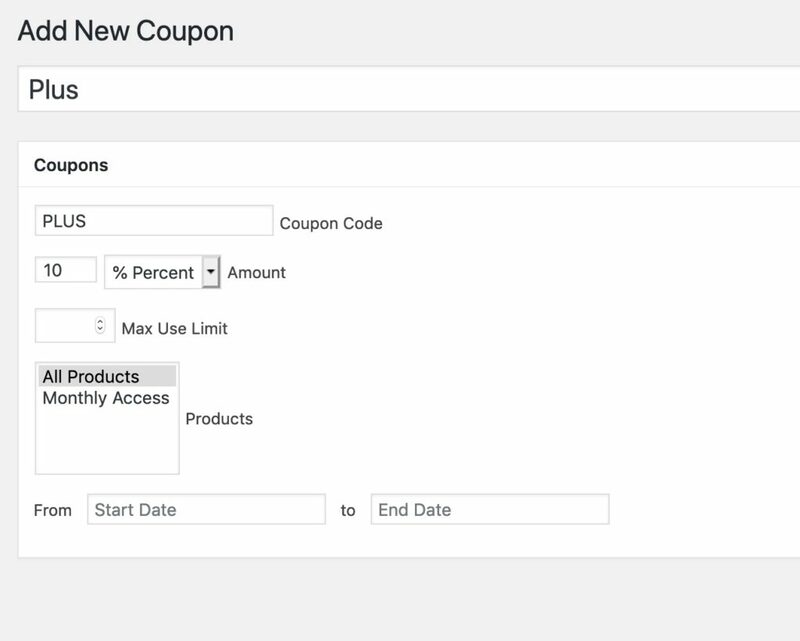 And Leaky Paywall makes adding a coupon as simple as installing our Coupons Add-On and choosing a code word. Ready to convert your readers with a coupon? Looking for more ideas on turning readers into subscribers? Let’s talk.